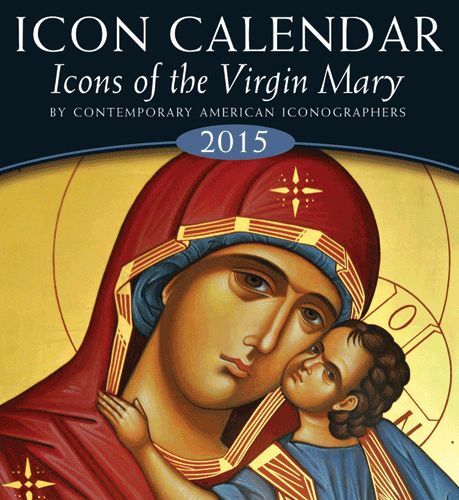 Ancient Faith Publishing has released the 2015 version of their popular icon calendar. Ancient Faith Publishing has released the 2015 version of their popular icon calendar. Featuring icons of the Virgin Mary from a variety of contemporary American iconographers, the 11″ X 12″ full-color calendar is also available for the first time in a Julian version. Major saints and feast days traditionally celebrated in Orthodox countries around the world are listed in both versions of the 2015 calendar. Additionally, other feast days of some of the most popularly venerated saints of the Orthodox Churches around the world are listed in black, regular type. Order your calendar at Ancient Faith Publishing’s web store.